A reseller of Google Apps can help you when you’re in need of Google Apps. Regardless of your area, you can now easily find Google partners around this globe. One of them is Eikon Technology, which is Google Partner and Google Apps reseller from Indonesia. This week, Eikon was having an interview session with BetterCloud—a company experts in cloud technology and Google Apps from New York, USA—that recently become our partner. EIKON Technology: I’ve always had a passion for cloud technology and wanted to build a company around the growing movement. We started with custom application development, which ultimately led us down the path to becoming a Google Apps consultant. 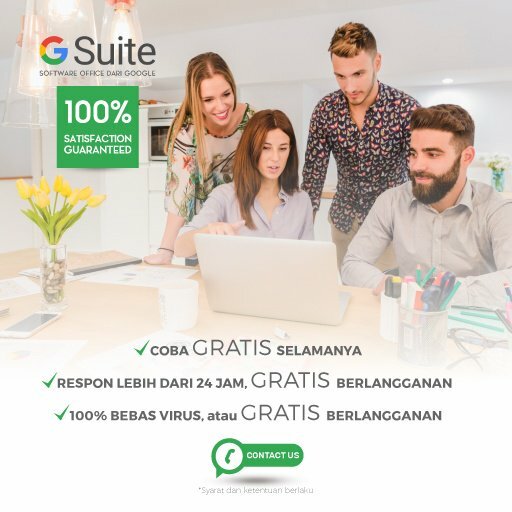 Our business has transformed since then and today, we help companies in Indonesia move to Google Apps and make the most of Google’s many cloud offerings. EIKON Technology: Today the market is more aware of cloud computing and companies have realized that Google’s products aren’t only relevant to consumers, but that their work offerings are extremely powerful and robust. At the same time, the market has shifted to focus more on mobility and BYOD and less on desktop and on-premises functionality. BetterCloud: Does your company have a certain speciality – Industry? Location? Size? EIKON Technology: Not in particular, we serve all industries – vertically and horizontally – from SMB and mid-market to large enterprises. But, we primarily serve customers in Indonesia and the APAC region. EIKON Technology: We are the first and top Google for Work Partner in Indonesia. BetterCloud: What is your favorite FlashPanel feature? Why? EIKON Technology: Definitely Drive policies – it’s a great feature that many of our customers use regularly. The feature has allowed customers to store data in Drive while also providing an added layer of security to help audit how that data is shared. BetterCloud: What do you hope to see from FlashPanel in the future? EIKON Technology: FlashPanel is great as is and the BetterCloud team is constantly working to enhance and add existing functionality, but we’d love to see enhancements to email monitoring and the ability to enforce policies around email filters and labels. EIKON Technology: We’ll continue to focus on Google for Work products and plan to expand our third-party offerings to better serve our customers. We’ll also expand to offer customers Cloud Platform and Maps products. BetterCloud: Why should someone looking to ‘Go Google’ work with you? Eikon Technology: We truly deliver a complete solution, from migration and deployment to training and custom integrations. We have the experience and the team to help our customers embrace the entirety of Google for Work’s offerings.